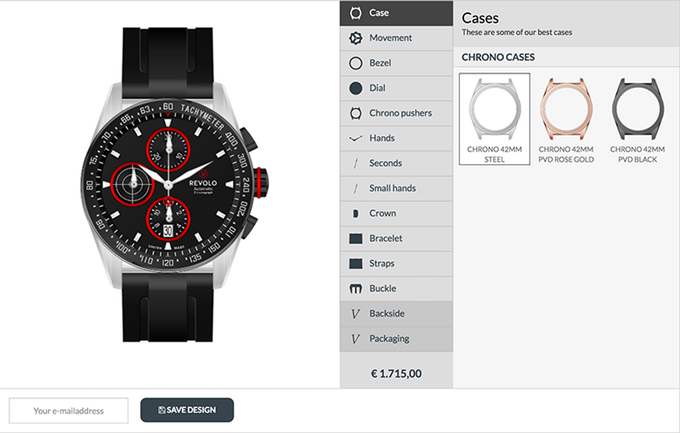 Tempus Fugit: Design Your Own Chronograph! This new chronograph from Revolo uses a 42 mm stainless steel case with a 22 mm lug width. 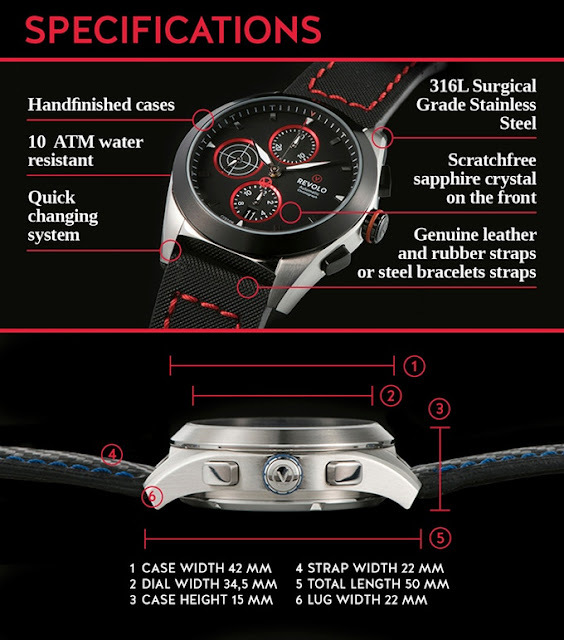 The cases are also available in three different finishes including a rose gold or black pvd finish. With the option of a display back, or solid stainless steel case back. 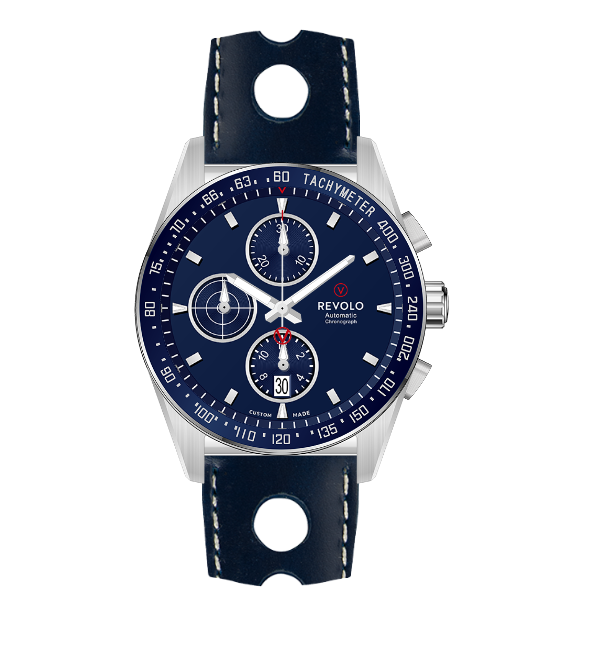 And as with any Revolo watch, you are blessed with numerous options beyond the case. You get to choose the hands, the dial, the crown, pretty much every aspect. 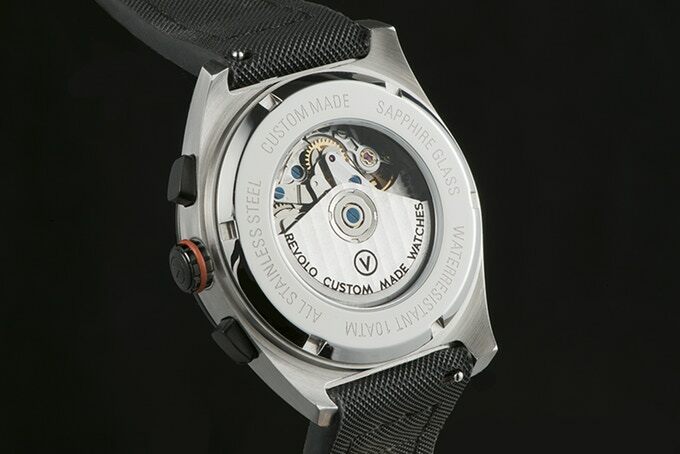 You even have the option of a Ronda quartz movement, or paying a bit more for a self-winding (Concepto) movement. 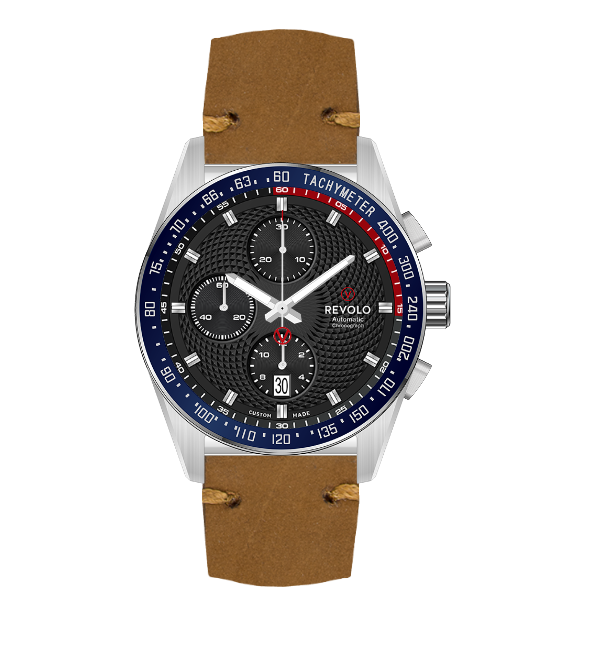 As with their original launch, Revolo is offering the opportunity to get in on the ground floor via a Kickstarter campaign. As a very, very satisfied Revolo customer, I personally am excited by this new offering from the folks in Holland. 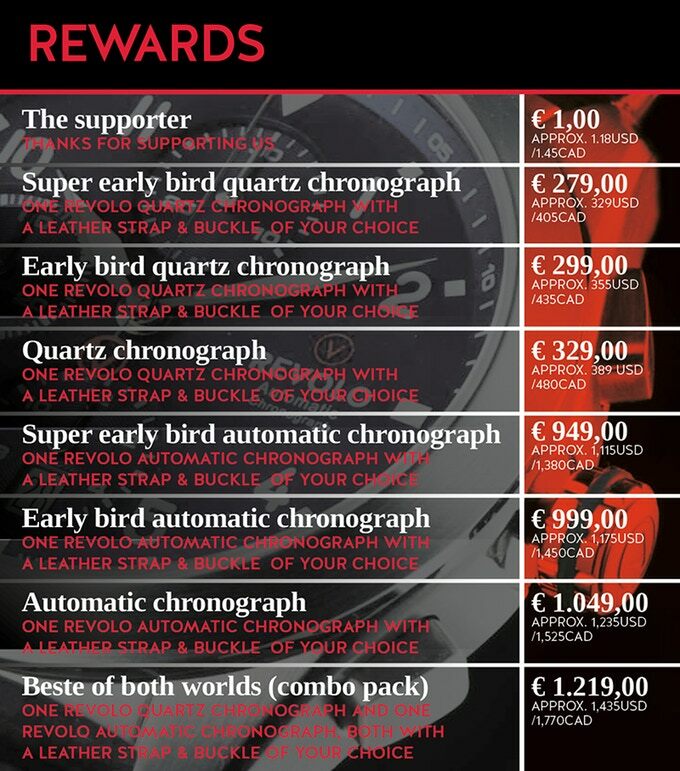 And the Kickstarter pricing offers a very, very affordable opportunity to create your own chronograph.